The future success for retailers will be married to each one’s ability to use consumer data to compete in sales. Amazon and Facebook are both excellent examples of this data-led winning formula: each is placed within the top 5 biggest companies in the world, so that says something in itself. 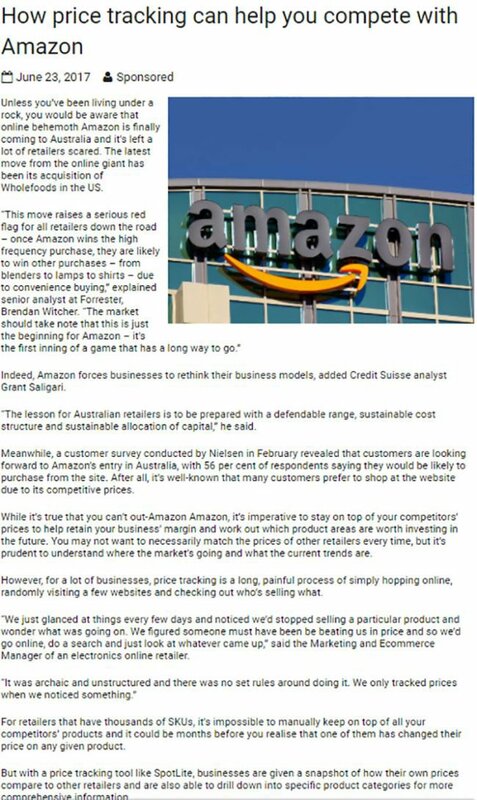 Invigor (ASX: IVO) is a player in data analytics and targeted marketing, putting itself at the forefront of big data technology and digital solutions at a time when Amazon is about to completely disrupt the Australian retail landscape. IVO’s reason for existing is quite simple: IVO’s data solutions enable companies to easily and efficiently turn data into insights, and insights into revenue, via the strategic collation, analysis and action based on customer data. IVO has been busy in the past 12 months. The acquisition of Sprooki Pte Ltd, the appointment of former Westpac and CBA CIO Bob McKinnon to the team, the securing of $1 million in investment funds from Allectus Capital, and more has seen it capture the attention of some big name clients. The most recent is Zoos Victoria , which will deploy IVO’s Insights 360 Visitor module at Werribee Open Range Zoo, Royal Melbourne Zoo and Healesville Sanctuary. This is a major enterprise contract win for IVO and further validates its industry-leading, big data and data analytics solutions. 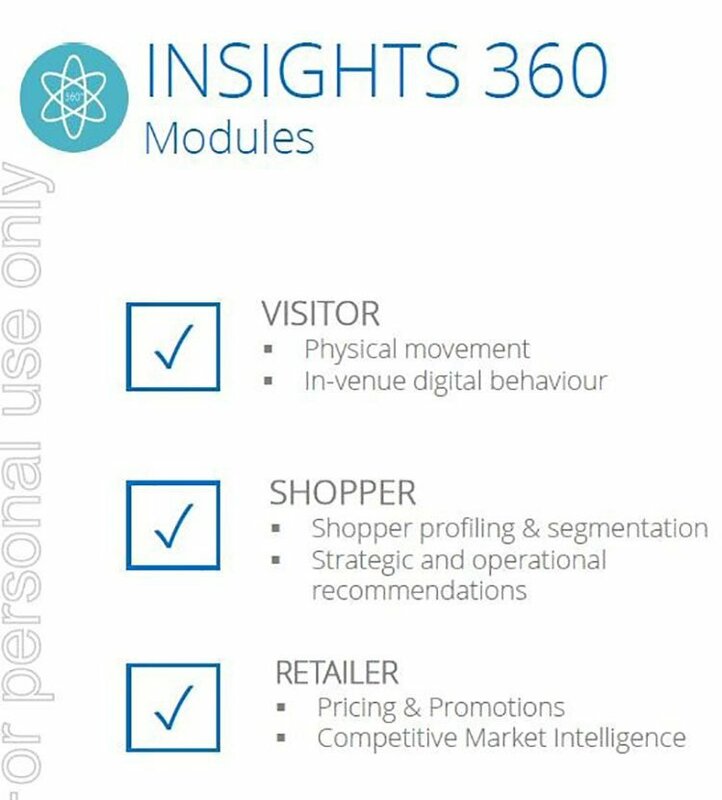 In June, IVO also announced a major new customer, Sharp Australia, for Insights 360 Retailer module. Sharp has been around for over a century (specialising in consumer electronics and home appliances products), so we can assume they run a tight ship and only opt for strategically smart partnerships. Of course it is early days in this partnership and anything can happen, so investors should seek professional financial advice if considering this stock for their portfolio. In the same month IVO also signed up Pernod Ricard Australia as a Retailer module customer. Pernod Ricard is the internationally renowned liquor manufacturer responsible for bringing the world G.H. Mumm, Chivas Regal, Absolute Vodka, Jameson, Havana Club, Kahlua and Jacob’s Creek Wines. This flurry of partnership activity follows the international launch of IVO’s SpotLite market intelligence platform, also under the Insights 360 solution. The full launch of SpotLite includes the Asia, United States, the United Kingdom, Western Europe, South America and the Middle East. IVO’s SpotLite and Retailer modules were already tracking over 95,000 products across 40 industry verticals, gathering market intelligence data for retailer and brands from over 950,000 product page URLs across hundreds of traditional websites world-wide, as well as Amazon and eBay. IVO also announced it would be driving growth through a $2.5 million Convertible Note issue – to be decided at an EGM in September. Speaking of timing, as Amazon prepares itself to take the Australian retail market by storm, there couldn’t be a better time for a data solutions tech company to establish itself across the country – and beyond. For Australian retailers, many of whom have been struggling in recent times, what’s needed is an edge over competition and the #1 way to do that is through data analytics and insights. 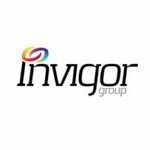 Invigor Group (ASX:IVO) has been busy staging itself as the Hero in the story of the impending doom of Amazon’s arrival... and it seems to be working. Which doesn’t include the strides it’s made in 2017 so far. With a growing number of pleased customers, partners and investors, IVO is well placed to meet the data needs of retail markets that are screaming for a game changer to ensure they stay relevant. In May, IVO kicked off the international launch of its SpotLite platform in the US, Europe, South America and the Middle East, following its success in Australia. The cloud-based platform tracks prices from any website across the globe, assisting the business to increase productivity and profit margin by understanding the market, competitors and empowering them with accurate real-time pricing data for better decision making. Any further revenues would be speculative and not all companies may experience similar results, s so seek professional financial advice and consider all facts before making an investment decision in this stock. The US and UK markets have particularly high demand for price tracking technology, driven largely by the presence of online juggernauts eBay and Amazon, which SpotLite has been effectively tracking since its launch. SpotLite has also secured a local partnership with eBay and international partnership with GoDaddy, providing even more leverage to offer its services world-wide. The move to strengthen SpotLite’s international presence was an excellent one for IVO, as tech-fuelled price comparisons become more and more commonplace. Those are already some big names in Australian retail, but in June IVO added to that list by nabbing the business of Sharp Australia and Pernod Ricard Australia. Two iconic brands (with Pernod Ricard also owning several well-known sub-brands) with huge influence and market share in Australia. Both companies became clients of IVO’s Retailer module, which provides online and offline pricing and promotional insights regarding which product prices can be raised while remaining cheapest, or reduced to become more competitive; how competition retailers are positioning and promoting their brands online and offline; and other real-time insights to enable the client to price products both competitively and profitably. 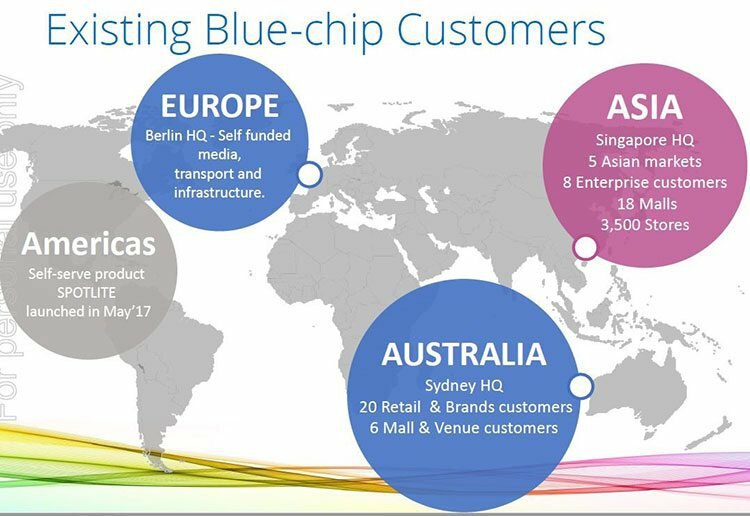 Sharp Australia has been around since 1912 in the consumer electronics and home appliances market, and has impressively kept itself at the forefront of innovation and business technology. Through deploying the Retailer module, Sharp will gain access to actionable insights in real time, giving it the agility to compete in a data-driven retail space. Consumer demand, freight, marketing and promotional activity and prices from online and offline environments will now be available at the click of a mouse. Of course there is another market you want your toe in, particularly during any potential downturn in the economy: Alcoholic beverages. IVO’s new deal with Pernod Ricard increasing its sizeable customer footprint in this strong Australian market. As the Pernod picture earlier in this piece shows, the list of sub-brands should remind you of just about any pub or bar in the country: Absolute Vodka, Jameson, Havana Club, Kahlua, Chivas Regal and Jacob’s Creek. The alcoholic beverage industry in Australia is both massive and highly competitive. And a brand like Pernod Ricard has a lot to lose if it doesn’t remain relevant on a day-to-day basis in terms of pricing, marketing and promotional activities. Being responsive and vigilant in customer retention has never been more important, even holding a suite of very well-known brands as Pernod Ricard does. Last time we covered IVO, we told you all about its acquisition of Sprooki Pte Limited – a Singapore based group offering location-based mobile engagement platforms for retailers, brands and shopping malls. Within a fortnight of the acquisition, IVO is reaping the rewards of the forward-looking move... with news that the 120,000m 2 Plaza Ambarrukmo shopping centre in Yogyakarta, Indonesia will be the first to launch Sprooki’s award-winning mobile engagement solution. The shopping centre is the most prominent in the city, with more than 230 exclusive local and international brand-name stores. More importantly the pipeline of major opportunities has been growing at a rapid rate as a result of the acquisition. These opportunities include major new deals in Australia and Asia with Shopping Malls, major retailers and Fintech companies. The value of the deals is in excess of $5M and has already validated the rationale for the acquisition. As announced by the CEO at the AGM Invigor has embarked on a strategic review of its non-core assets, including its investment in Condat AG. We are aware that there are a number of parties that have been casting their eyes over Condat. The business currently generates c8.5M per annum and is profitable. A sale of Condat will retire most of the company debt and leave substantial cash reserves for the company to execute on its business plan. ... and you can see a fire has really been lit in IVO’s belly. At the same time, hunger for Big Data is growing inside the bellies of businesses and retailers across the world. We have mentioned this previously, but it’s worth mentioning again: IVO’s timing couldn’t be much better for it to take flight in the blue sky of Big Data, as retailers scramble to prepare for the arrival of Amazon in Australia next year. Online marketplaces with enormous capacity for data collection and analysis have been around for some years, but Australia hasn’t felt the full force until now. IVO is offering customers interconnected datasets to enable customers to identify and better understand competitors, consumers, markets and demographics while providing value for money. Of course IVO remains a speculative technology play and investors should therefore seek professional financial advice before making an investment decision. And what of the customer’s customer? The impact of IVO’s technology could look like, for example, getting a message as a VIP customer with a reward the day before their usual visit; being welcomed upon entry with a selection of recommended products and service experiences as they step over the threshold of the store or mall; receiving loyalty solutions ahead of time on the basis of past behaviour, and a lot more. 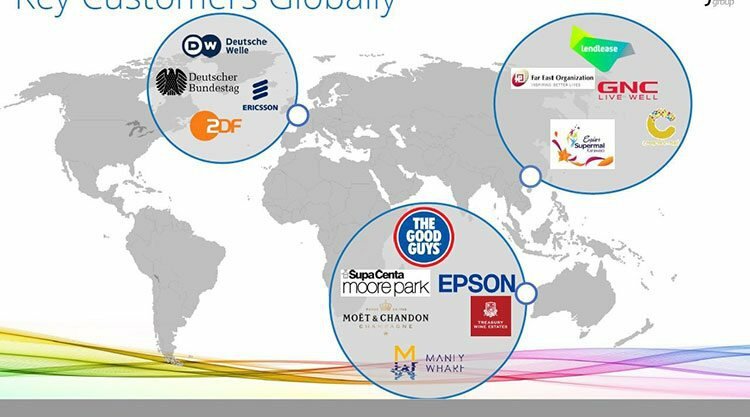 For these businesses, it’s not just about understanding what has or is happening but also to influence and make future transactions occur. At the end of the day, that’s what business is all about. But increasingly, businesses must turn to technology to provide the tools to do that and really be able to influence future customer strategy. That’s where IVO has stepped in, to which a long list of major customers have already said ‘yes’. The question remains now, what will shareholders do?